Collision physics done with our 7 MV Tandem Van de Graaff accelerator. See more photos of the Tandem in our Photo Gallery. We have a model EN Tandem Van de Graaff from High Voltage Engineering Corporation (EN-27). It has been greatly modified from its original form, now having an NEC Pelletron charging system, Dowlish titanium spiral field tubes and Oak Ridge-style resistors. 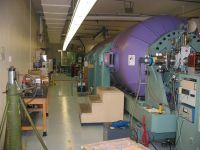 A modified stripper foil box and a turbopump for recirculating stripping gas have been installed to support Linac operations. These changes allow operation over 7 MV and have greatly enhanced beam stability. 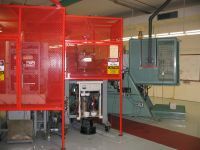 Most recently, a deployable mirror was installed in the terminal to allow laser-generated ions to be created as part of the Picopulse experiment. Even more radically, we have replaced one section of our spiral tubes with an old straight section in support of this experiment! Long-range plans may include the installation of a fiber-optic communications link to the terminal. Through the period from October 2004 to October 2005, the Tandem has logged 945 hours of actual beam time operation. A good deal of time was spent on the Picopulse project and its associated machine modifications. 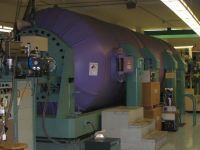 Two negative ion sources provide projectiles for the accelerators. 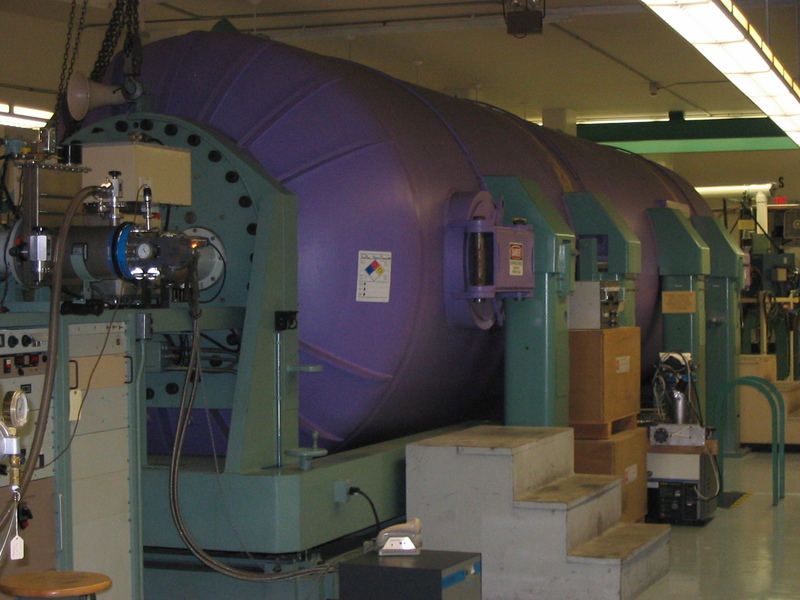 Our Middleton -geometry single-cathode sputter source is used for about 90 percent of beam time. It has provided beams of hydrogen, boron, carbon, oxygen, fluorine, magnesium, silicon, chlorine, copper and iodine. 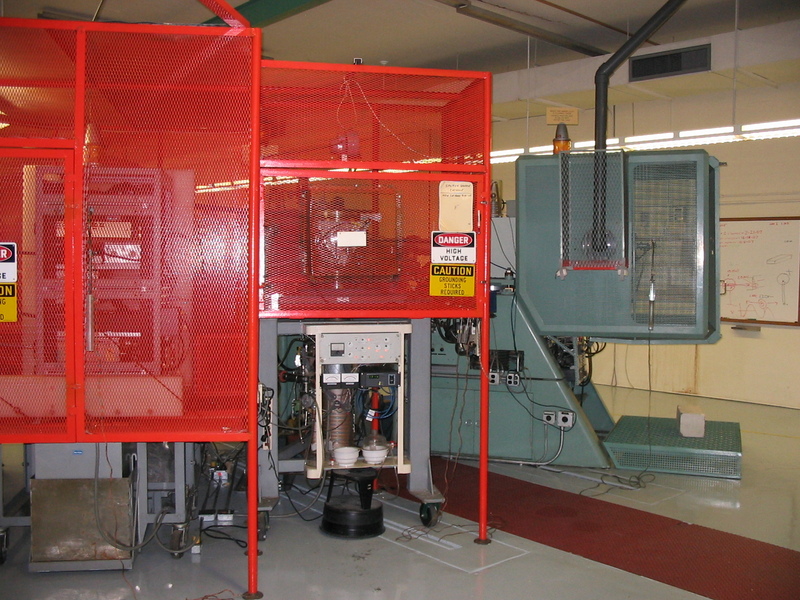 Our diode source, now sporting a low-ripple high-voltage supply, provides ions for the other 10 percent of operations, and has been used for beams of hydrogen and fluorine. The Tandem is kept running by the tireless efforts of our Tandem Engineer, Bob Krause, who graciously provided the information above from his lab report to the Symposium of Northeastern Accelerator Personnel (SNEAP).